Our Umhlanga, Durban North and Ballito franchises once again supported their local NPO Domino Foundation, in their 67 minutes initiative for Mandela Day. 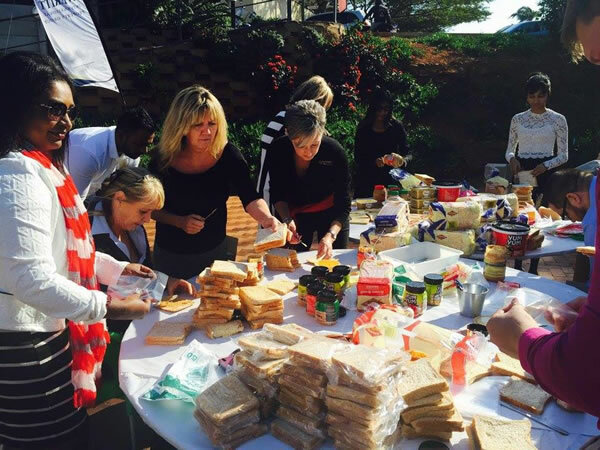 We had a team of 20 enthusiastic agents ready to make an incredible "600" sandwiches for under privileged school children in and around the greater Durban North area. In many cases this sandwich, together with a cup of nutritious soup is the one and only meal some children get a day! Our team served the local community at the "Hunger Buster" station. "We were delighted to be part of this worthy cause!" Chas Cares!